Speaking of London on film, as I briefly did in my last post, on Monday night, the Cat and I wandered off to the Barbican cinema to see the film, I, Anna. 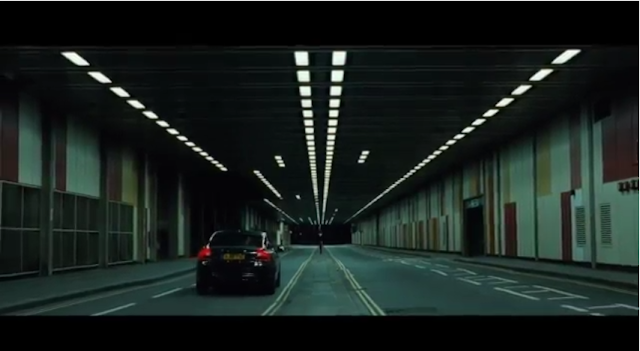 I gasped, thinking 'was that the Barbican?' Sure enough, the next shot showed the unmistakable tunnel that is Beech Street. The preview unfolded, revealing the story line to be a noirish tale involving a murder, a detective and an elegant and mysterious woman. All, seemingly, set in and around the Barbican. Naturally, I had to see it. And, naturally, I had to see it at the Barbican cinema. Sitting in the darkened cinema the following week, I could feel myself eagerly anticipating the appearance of the Barbican as I sat through the opening scenes. I felt kind of like my teenage self, enticed into seeing a movie because it starred an actor I fancied, and waiting for the moment for them to appear on screen. And the performance of the Barbican did not disappoint. It formed the perfect backdrop for the murder that is the catalyst for the rest of the film. 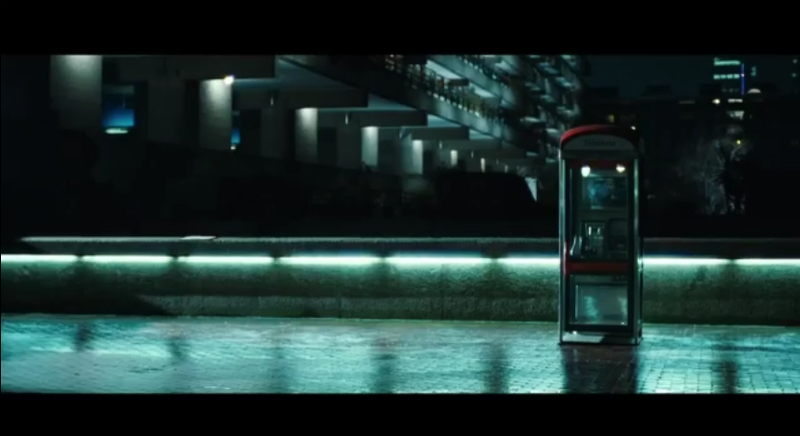 Its desolate and eerie qualities are brought out and connected with the characters who collide there: three middle-aged, separated adults (the male murder victim, the female stranger last seen with him, the male detective). 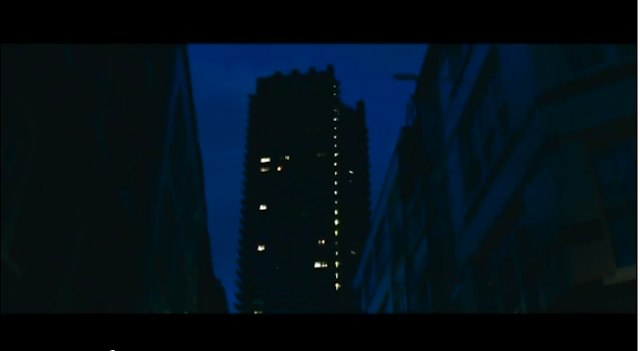 The loneliness and dissatisfaction of the woman and the deep exhaustion of the detective were highlighted by the cinematography which emphasised the coldness and oppressiveness of their surrounds - the un-ornamented, bleak, concrete Barbican complex, along with other parts of London, from the neighbouring 1950s Golden Lane Estate to Peter Jones in Chelsea. 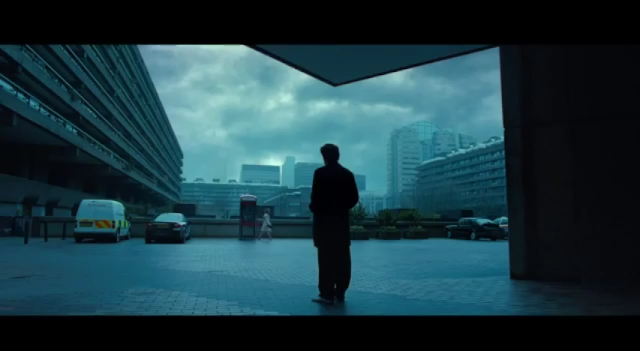 I feel I definitely need to get into neo noir more. Noir, I'm definitely there but, like I said, I'm terrible at keeping up with modern films! Definitely check it out if you love the Barbican. Ha, I think you deliberately picked those texts so you could make cinema trips - sounds like too much of a coincidence to me! Ha ha! You seem unsure with your "..." I know post-war buildings aren't really for you!